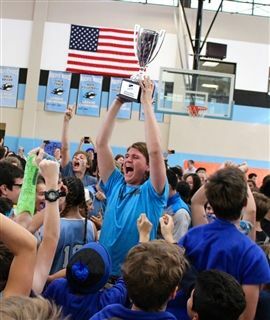 The Firebird spirit was in full force on Thursday, January 19 for the annual Field Day competitions. 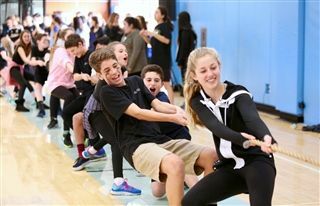 The Blue Team took on the Black Team in an afternoon of contests, including games such as tug of war, three-legged races, geography trivia and design-thinking challenges. In the end, the Blue Team reigned supreme and cheers could be heard throughout campus. The faculty showed they are as strong physically as they are mentally by beating the seniors in one final tug of war. For more photos, head to the Field Day Facebook album here.